As soon as the snow melts, and spring cleaning begins, garage doors open up and driveways become filled with unwanted items. But as they say...one man's trash is another man's treasure! Everyone knows you're a frugal person, a bargain hunter who is always looking for a good buy. 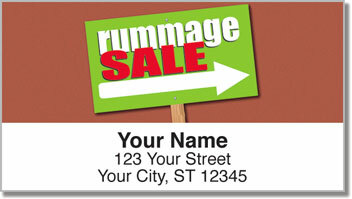 These unique return address labels feature colorful signs for yard sales, garage sales and rummage sales. Whatever you call them, this design is a tribute to your thriftiness! 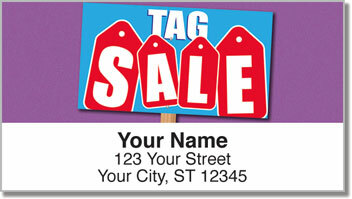 Signs of Spring Address Labels from CheckAdvantage are not only affordable, they're also extremely convenient. Preparing outgoing mail is easy with the self-adhesive backing. 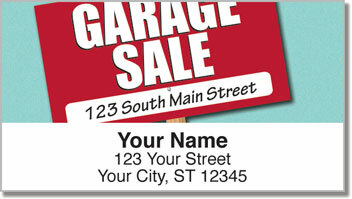 Plus, you can use them to mark all sorts of property with your name and address. 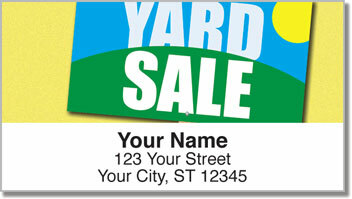 Make Signs of Spring Address Labels yours today! Get them with matching personal checks.